Material: Worsted weight yarn in off-white, coffee, warm brown, and buff. 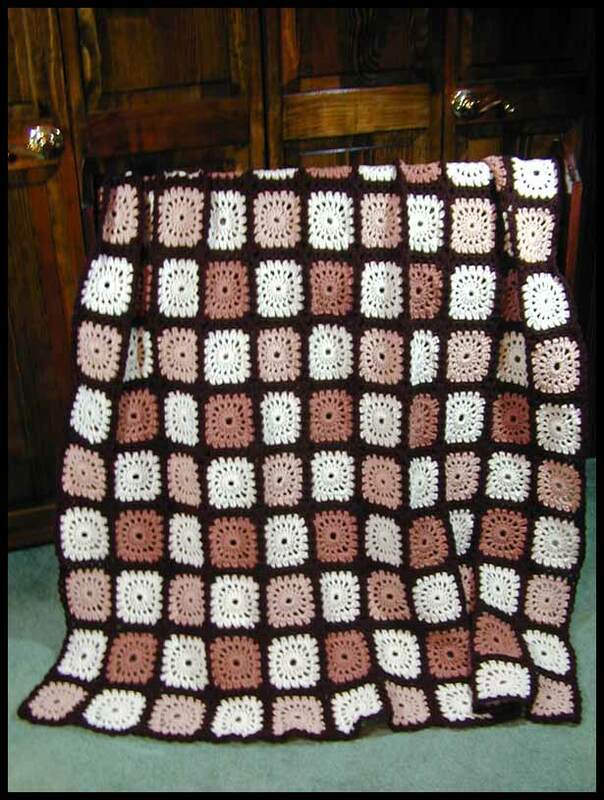 This is a fairly lightweight afghan, weighing in at just under 3 pounds (46 oz). Email me to order in these or different colors.